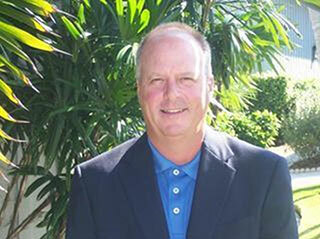 South Florida PGA Past President and PGA Head Professional at Lost Tree Club in North Palm Beach, Brian Peaper, was honored as the 2013 South Florida PGA’s Golf Professional of the Year. This award is the highest honor a PGA Professional can receive, recognizing the individual for their overall performance, level of service to the Association, leadership, image, and the ability to inspire fellow professionals and promote the game of golf. Lost Tree is a Jack Nicklaus-redesigned layout and is the centerpiece to the community where the Nicklaus family has lived for parts of six decades. Through Peaper’s involvement with the South Florida PGA as a Past President, he has had the opportunity to help shape the future of the industry in South Florida by providing outstanding leadership to his fellow PGA Professionals. As an outstanding member of the South Florida PGA, Peaper has also been recognized by his peers on numerous occasions as the Bill Strausbaugh Award recipient at both the Section level in 1996 and 1999 and at the Southeast Chapter level in 1995, 1998, and 2000. His dedication to helping the section and his fellow professionals has earned him recognition as the 2013 SFPGA Golf Professional of the Year. “The PGA Professional is the backbone of promoting the game of golf at all ability levels,” Peaper said. “We hire, train and develop future professionals; we facilitate and manage member tournament activities; we provide a retail environment for member satisfaction; the PGA Professional teaches the game at all ability levels and helps individuals of all ages have an unforgettable golf experience each day. Peaper has helped to grow the game through many avenues during his tenure in South Florida. At his facility, Lost Tree Club, he and his staff annually host over 100 member events to help grow participation from his membership, in addition to conducting a Pro-Member event which has been recognized as the longest running Pro-Am tournament in the United States, now in its 50th year. Profits from this event annually exceed $250,000 and directly benefit the Nicklaus Children’s Health Care Foundation. Additionally, Peaper helps grow the game through mentorship of his fellow PGA Professionals. Peaper has been instrumental in the training and mentoring of 12 PGA Assistants that have gone on to obtain their own Head Professional positions around the country. Not only has Peaper been a leader at his own facility, he has been an active participant in the association on both the section and chapter levels for many years. Peaper has served as the Section Secretary, Vice President, and President from 2007-2013, and currently holds the role of Past President and a Director on the Foundation Board. He has served as the Chairperson of the Section Awards Committee from 2004-2007, Chairperson of the Section and Chapter Club Relations Committee, and is a member of the Section Tournament Committee. Through his involvement, he is able to provide insight and direction into the future of the game in South Florida. Brian Peaper, along with the 10 other South Florida PGA Annual Award winners, was recognized at the SFPGA Awards Night on November 11th.